Spreading awareness about carbon monoxide (CO) poisoning among the boating community is important to protect boaters and to save lives. CO is a deadly gas created by incomplete combustion of fossil fuels and wood and boaters are at risk where their fossil fuel appliances don’t burn properly or where CO fumes are blown back into boats. It is not possible to detect this deadly gas with human senses as it does not have any colour, taste or smell. We are proud to to announce that Safelincs have teamed up with TBS Boats Ltd, one of the UK’s leading boat sellers, in support of their CO initiative and the national awareness campaign boatcosafe.uk. 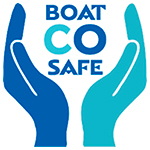 Safelincs have designed and printed awareness stickers that will be distributed to boat owners, highlighting the symptoms of CO poisoning, which can often be mistaken for a cold or flu as well as having a bespoke CO boat page on our website. 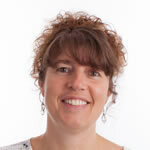 Angie has been our marketing manager since joining in 2002. She also has a keen interest in H&S issues.